Considering anticipation for The Division 2 before release it might not surprise you to hear that it’s debuted at the top spot when it comes to the UK physical charts, as reported by GamesIndustry.biz, but it may surprise you to hear it fell well short of the original’s launch figures, gathering 20% of what the first game sold in its launch week. 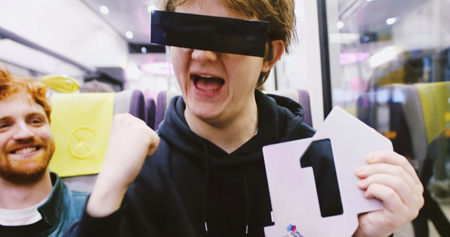 Congratulations to Lewis Capaldi, who claims his first Number 1 on this week’s Official Singles Chart with Someone You Loved. The song lifts from 3 to 1, logging 58,000 combined sales, including 6 million audio streams. Someone You Loved first entered the Top 100 at Number 66 back in January and has steadily climbed over the past nine weeks. The Scottish singer-songwriter made his Official Chart debut last November with Grace, which reaches a new peak at Number 24 in this week’s Top 40. His debut album, Divinely Uninspired To A Hellish Extent, is out on May 17. After a close battle all week, Calvin Harris & Rag’n’Bone Man’s Giant settles for second places, finishing 1,900 combined sales behind Lewis, while last week’s Number 1 7 Rings by Ariana Grande slips to 4. Pink claims this week’s highest new entry with Walk Me Home at Number 8, earning the star her 20th UK Top 10 single, while Tom Walker zooms nine spots to Number 10 with Just You & I following his British Breakthrough win at this year’s BRIT Awards. Lady Gaga & Bradley Cooper’s Shallow rebounds ten places to 11 after winning Best Song at last week’s Oscars, and there are Top 20 breakthroughs for Blueface’s Thotiana, up seven to 15, and Lauv & Troye Sivan’s I’m So Tired, up five to 17. Further down, Kehlani’s Nights Like This ft. Ty Dolla $ign returns to the Top 40 at 33 following the release of her While We Wait mixtape, and two songs performed at last week’s BRITs return to the Top 40: Jess Glynne’s Thursday leaps six places to 35, and Calvin Harris & Sam Smith’s Promises climbs 13 spots to 37. Finally, London rapper Dave bows at 40 with his new single Black. We’ve just provided our review of Anthem this past week, and we’ve found out courtesy of GamesIndustry.biz that despite a mixed reception it has flown to the top of the UK boxed charts to claim the number one spot, with 54% of its sales coming from PS4, 40% on Xbox One, and the rest on PC. Despite this first-place debut another report reveals that the game only managed half of the launch week sales of Mass Effect: Andromeda, Bioware’s last game that was notorious for its disappointing reviews and itself sold half of what Mass Effect 3 managed. 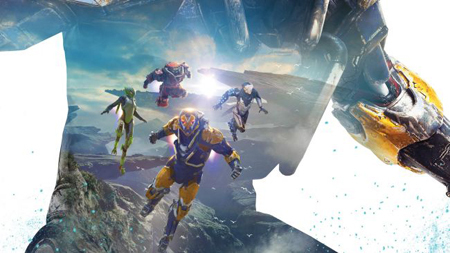 Insider ZhugeEX also claims that the game sold around 10% of what Destiny managed in its first week, with Anthem also selling around a quarter of what Destiny 2 achieved in its first week too. There are a number of caveats to add here though. The landscape has changed a lot since the launch of 3 and even Andromeda in 2017, with digital downloads (the stats of which we don’t have, whether that’s sales or Origin Access players) becoming more favoured in recent years over boxed sales. We should also note that anticipation was very high for Andromeda, while Andromeda’s own reception and the lukewarm response to the various pre-release demos dampened the hype for Anthem. Anthem’s launch week sales were lower than that of Resident Evil 2 and Kingdom Hearts 3, heavy hitters that have also launched this year, but it has outsold Far Cry: New Dawn (down 43% this week) and Metro Exodus (down 55%) as both games hit their second week. Jump Force also has a big drop from number four to 17 with a 64% drop in sales in its second week, with Crackdown 3 dropping to number 26 after a 51% dip. Below you can see the top 10 in full. Can Anthem hold onto the top spot? Players around the world had been waiting for February 15 for a very long time. The day was filled with anticipated releases such as Crackdown 3, Far Cry: New Dawn, Metro Exodus, Jump Force and Anthem (kind of). This made it very likely that one or more of these games wouldn’t get as much attention as if they had launched on any other day, and that seems to have come to pass. Sure, Far Cry: New Dawn ended up being the best-selling game last week, but Gamesindustry.biz can reveal that the spin-off sold 86.5 per cent less physical copies than last year’s Far Cry 5 and just a little more than a quarter of what Far Cry Primal did in its first week back in 2016. Deep Silver and 4A Games have more reasons to celebrate despite selling approximately 2,000 units less than New Dawn, as Metro Exodus sold close to 50 per cent more units than Metro Last Light did in its first week. Very impressive, especially as digital sales are far more common these days than when Last Light launched in 2013. Those of you who’ve been keeping a close eye on the coverage of Crackdown 3 the last few months probably won’t be too surprised to learn that the game didn’t even manage to crack the top ten by landing on thirteenth. That’s because it barely managed to sell ten per cent of what Crackdown 2 did in 2010, so expect Microsoft to boast about player numbers and Xbox Game Pass downloads instead of sales in the future. Ariana’s latest album becomes her third to debut at the top of the chart, following Dangerous Woman (2016) and Sweetener (2018). Thank U, Next is the star’s biggest opening week for an album to date at 65,000 combined sales, including 59 million streams across its 12 tracks. On the Official Singles Chart, Ariana lands her fifth Number 1 with Break Up With Your Girlfriend, I’m Bored (85,000 combined sales), knocking her previous single 7 Rings down to Number 2. Another track from the album, Needy, also debuts in this week’s Top 10 at Number 8. It makes Ariana the first female artist since Ruby Murray in March 1955 to have three Top 10 singles as a lead artist in the same week. Aside from Ariana, Lewis Capaldi’s Someone You Loved makes big gains in this week’s Top 10, leaping six places to a new peak at Number 3. Another Lewis single, Grace, vaults 14 spots to Number 26. Khalid & Disclosure’s brand-new track Talk opens at 16, earning the US singer-songwriter his tenth Top 40 single and Disclosure their sixth and first in almost four years. AJ Tracey’s Psych Out rebounds back into the Top 40 and reaches a new peak at Number 18 following the release of his new album, and Tom Walker lands his second Top 40 single with Just You And I, up 39 rungs to Number 30. 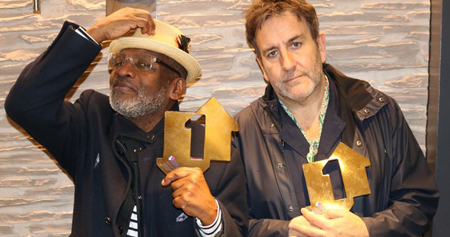 Three more songs make their Top 40 debut: Who Do You Love? By The Chainsmokers ft. 5 Seconds Of Summer (34), Breathe by Camelphat & Christoph ft. Jem Cooke (37), and viral hit Thotiana by US rapper Blueface (40). Finally, following his tragic death last week, London rapper Cadet re-enters the Top 40 at 36 with his Deno Driz collaboration, Advice. After Square Enix and Capcom topped the UK physical game charts this year already with Kingdom Hearts III and Resident Evil 2 respectively, a familiar face is back at the top of the pile this week, as Rockstar’s Red Dead Redemption 2 has reclaimed the top spot with FIFA 19 just behind at number two. Speaking of Rockstar, Grand Theft Auto V is at number 10 as well, while Kingdom Hearts III has slid down to number three, with Resident Evil 2 at four. As reported by GamesIndustry.biz, Kingdom Hearts saw an 87% decrease in sales from last week, while Resident Evil 2 dropped 67%. Red Dead Redemption’s 14% increase in sales means it can add a sixth week at the top of the charts, and FIFA 19 is hardly surprising to see there since it always sells well, even being the best-selling console game in Europe last year. For the full top 10 list check down below. Can Red Dead Redemption 2 stay top, considering all the games like Metro Exodus and Far Cry: New Dawn releasing this Friday?